Another Facebook scam is making its rounds again. 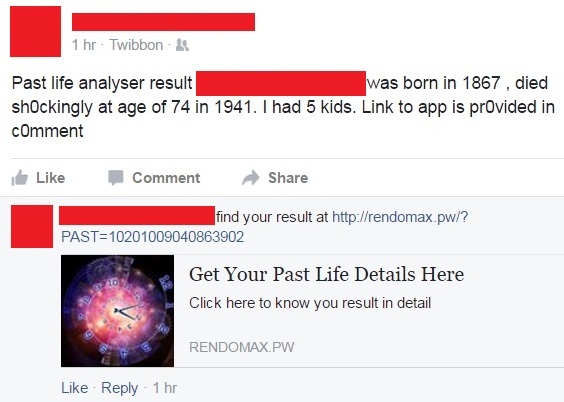 If you see “past life analyser” in the news feed, on someone’s wall, or via an app, DO NOT click on it! Click HERE to read about a similar online story about it.